My mama was a whore. Those words played in my mind as I stared at my mama’s photo, then pressed the picture frame against my chest. My mama was a whore and that was what killed her. I held no judgment about how my mama lived. From the time I was a little girl, I knew Daisy Jones was a hustler, doing whatever she had to do to put a roof over us and food inside of us. So I could never judge a woman who took care of more than her business, she took care of her child. Daisy Jones was more than my mother, she was my mama, and there is a difference. It was my mama that I loved, not the woman who serviced men at the truck stop right off I-530. And anyway, what else was she supposed to do, having been born in White Haven, Arkansas, all the way back before the millennium became new? Not that I had any issues with my hometown or with 1977, the year my mama was born. It was just a fact that if you were a black girl with only a middle school education, your choices were limited to cleaning somebody’s house, frying somebody’s fish, or going for that higher hourly position turning tricks. My mama went for the dollars, and again, no judgment. Because if she hadn’t worked hard for that money, I would never have been born. Whatever she did, at least she worked until she couldn’t. At least she kept a roof over my head until now. Pulling the picture away from me, my fingers traced the outline of her jaw. If I closed my eyes again, I was sure I would be able to see her, feel her. Because she had just been here yesterday. I swept my fingers over the glass frame as if I were combing her hair. Her beautiful hair, which was poofed into an Afro, silver, even though she was only forty. I guess that was what a hard life did to you. Turned your outside old and your insides out before it was your time. I faced the voice and the nurse standing in the doorway. She wore flowered scrubs again; today, they were blue. And she wore the same tight-lipped smile she’d been giving me all week. I gave that smile right back to her, even though I suspected hers was sincere. Mine was only proof that for everything Daisy had done wrong, she’d done her best to raise me right. “You good?” Nurse Burns asked me. Again, because I’d been raised right I didn’t tell Nurse Burns she’d just asked the stupidest question in the history of stupid questions. How could I be good when my mom had died less than three hours ago? So instead of cussing her out, I turned back to my mama’s bathrobe, which I’d just folded. I tilted my head. I wasn’t sure what I was going to do with the teeth for the bottom left side of her mouth. I didn’t know if I wanted to keep them as some kind of memento that my mama had half a mouth of fake teeth—yeah, at forty. The nurse walked over to the table and handed me Mama’s toothbrush. Really? She didn’t want me to keep her teeth, but she was giving me her toothbrush? I wondered what kind of papers were needed for death. Take her? “What?” I frowned. “I know what happened to her.” I paused. “She died.” And then, I went right back to doing what I’d been doing before the nurse interrupted me with this foolishness. It wasn’t that I didn’t love my mama—I loved her lots. But with her death, we had parted. Looking at my mama’s robe, I gathered the comb and brush, her dentures and toothbrush into the center. With the exception of a few things she’d left at home, this was all my mama had in the world. “Nah, I’ll carry everything in this.” I folded my mama’s worldly possessions inside the robe, then pressed the bundle to my chest. I nodded at the nurse, pursed my lips again into that tight smile, and walked past her. I started to shake my head, but one of the things I’d learned about Nurse Burns over the weeks of my visits to this hospice was that she was one of those pushy broads who kept talking until someone shut her up. So instead of saying what I wanted to say, I decided I could show her better than I could tell her. I tucked my mama’s bathrobe bundle under my arm, then took quick steps to Nurse Burns. My eyes were on hers when I grabbed Mama’s Bible and my eyes stayed locked with hers when I dumped the book into the trash next to where my mama had laid her head. Nurse Burns gasped, and stumbled back and away, like she thought lightning might be about to strike. I almost laughed, though I didn’t because I pitied her more than I found her funny. So I said, “Bye,” and turned. She shook her head, swallowed, and pointed to the other picture that Mama had brought to the hospice with her. The picture that I always kept away from my glance. “What . . . what . . . about . . . this?” She sounded as if she were afraid of me now. As if my blasphemy might be contagious and it was an illness she didn’t want to catch. I was pissed, but I couldn’t take that out on Nurse Burns. How would she know that photo wasn’t really a photo, but a dagger that sliced my heart? I shook my head, but then, Nurse Burns got her groove back. Because even though I’d threatened her life by tossing that Bible into the trash, she still lifted the picture and held it toward me. She was doing that pushy thing again, and now, because she hadn’t left it alone, she was ’bout to get her feelings hurt—again. That meant I had to walk across the room once more, though this time, I didn’t look at Nurse Burns. My glance was somewhere over her shoulder, looking out the window—my insurance that my eyes wouldn’t drop to the picture by accident. I grabbed the frame, and with my gaze still somewhere on the horizon, I tossed the picture to the right. My aim was great. The photo landed with a thump. Right on top of the Bible. Right in the trash, where they both belonged. Again, Nurse Burns gasped, but this time there was more sadness than shock in her sound. And this time, when I walked to the door, I made my way all the way through because Nurse Burns didn’t have another word to say to me. 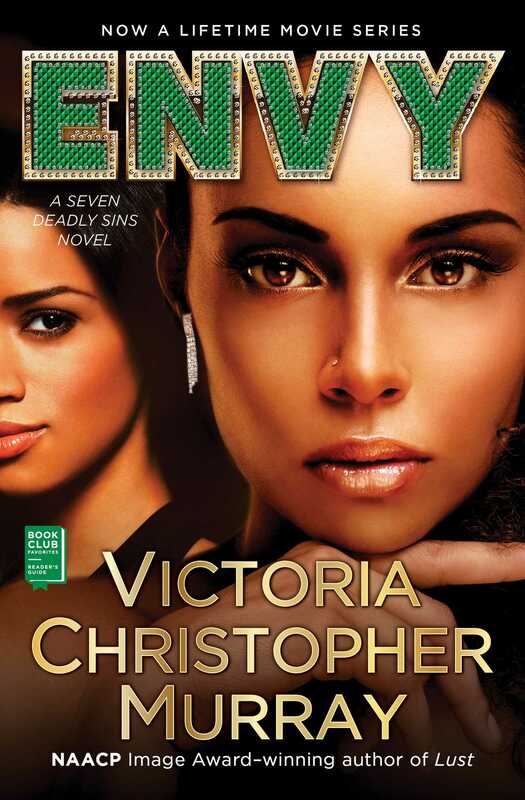 This reading group guide for Envy includes an introduction, discussion questions, ideas for enhancing your book club, and a Q&A with author Victoria Christopher Murray. The suggested questions are intended to help your reading group find new and interesting angles and topics for your discussion. We hope that these ideas will enrich your conversation and increase your enjoyment of the book. Keisha Jones is living out of her car. Her mother, who worked as a prostitute throughout her life in order to support them both, has recently passed away, and with no money to pay the rent at the home they shared, Keisha seems to have hit a dead end. Worse still, her every thought is interrupted by repeated memories of a secret childhood trauma. So when a glamorous woman shows up at the salon in Arkansas where she works and surprises Keisha with an invitation to travel to Los Angeles to meet her sister, Gabrielle, Keisha is more than ready to go, even if she doesn’t care much for the messenger. While Gabrielle has only recently learned that she has a sister born from an affair her father had while on the road, Keisha has known all about her sister—and (thanks to Instagram) her sister’s glamorous life with a successful career in public relations, a mansion, and a beautiful husband and child—for some time. When Keisha finally sees it all with her own eyes, she becomes obsessed with plans to claim everything that she believes should have been hers—but how far will envy take her? In this second novel of the Seven Deadly Sins series, the author exposes the toxicity of envying what others have while revealing the importance of family and community and the healing power of love and forgiveness. 1. When Gabrielle’s father asks her to come over at the start of the story, how does Gabrielle respond to what he tells her? Were you surprised by her reaction to the news he shares? Why or why not? 2. When Regan finds Keisha at the salon in Arkansas, what does Keisha say during their conversation that causes Regan to be suspicious of her? Keisha seems aware of how Regan feels in this moment, so why doesn’t Keisha explain herself? 3. How do Regan and Mauricio react to the news that Gabrielle has a sister and that she is coming to Los Angeles? What suggestions do they give Gabrielle? Why do you think their reaction is so different from Gabrielle’s? Whom do you agree with? 4. What did Keisha’s mom, Daisy, tell her as a child when she asked who her father was? Why do you think Daisy acted this way? How did Keisha find out the identity of her father? How did this journey to discover the truth and the knowledge of her father’s identity ultimately shape her life? 5. Why does Keisha feel indebted to Buck? How did the two meet? Would you say that they have a good relationship? Why or why not? 6. Consider how the novel paints a picture of sisterhood—both figurative and familial. How would you say that the novel defines sisterhood? What does it mean to be sisterly? 7. Keisha endures two major traumas throughout the book: years of abuse and an unspeakable loss. Why do you think that Keisha doesn’t share her secrets with anyone in her life? What might have allowed Keisha to feel more empowered to seek help and escape the abuse? How do these traumas affect her years later? 8. What does the Wilson family’s pastor say is the difference between envy and jealousy? Who in the congregation believes that this message is for them and what effect does it have? 9. Gabrielle’s relationship with Justus causes ongoing tension with her husband, Mauricio. Do you believe that Mauricio is simply envious of Justus or do you agree with his point that Gabrielle prioritizes her work above her family? What causes Mauricio to feel the way that he does about Gabrielle’s relationship with Justus? What does he propose will solve the problem and keep their marriage intact? Is it a good solution? 10. Consider how the book creates a dialogue around the theme of forgiveness. What examples of forgiveness are found in the book? What moves the characters to forgive one another—and themselves? Alternatively, what keeps or delays the characters from forgiving? 11. Daisy, Keisha, Gabrielle, and Regan all have very different ideas about motherhood and what it means to be a good mother. How do their motherhood styles differ? How are they similar? How does Keisha’s relationship with her daughter, and the tragedy that follows, shape her view of mothers? 12. What happens at Keisha’s sentencing? Were you surprised by the statements made by Regan and Gabrielle? Why or why not? Does Keisha ultimately show any remorse for her actions? 13. Did your feelings toward Keisha change after reading the final scenes of the novel? Why or why not? Do you feel empathy for her? How do you think her life will change after the sentencing? 1. Have you ever experienced envy? What is something that you have felt envious of? Discuss how envy affected your life and sense of self. Did it affect anyone else? How did you overcome the feeling? 2. Read Lust, the first book in the author’s Seven Deadly Sins series, and compare and contrast it with Envy. What themes do the two novels share? What do the characters have in common? Are the characters ultimately able to avoid or overcome the sin that is central to each story? If so, how? 3. 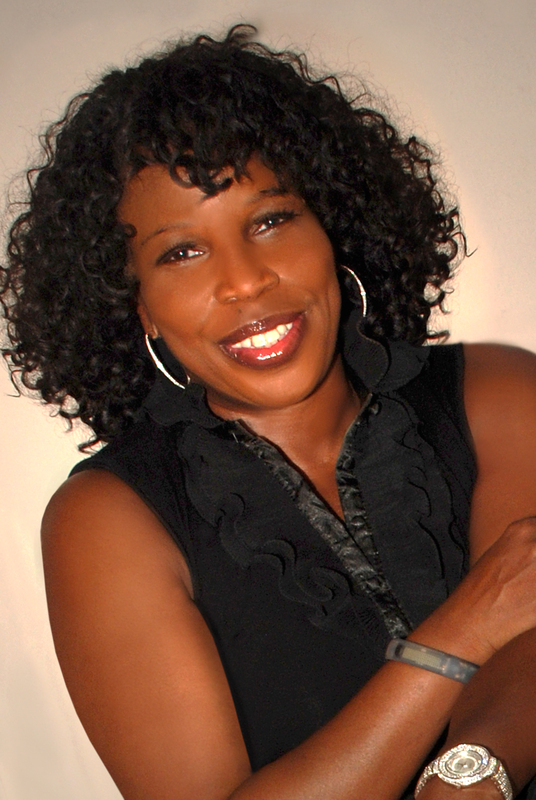 Visit the author’s website at http://victoriachristophermurray.com to learn more about her and her more than twenty novels, including the NAACP Image Award–winning Stand Your Ground and the popular Jasmine Cox Larson Bush series. What inspired you to write the Seven Deadly Sins series? Have you decided which sin you will write about next? Is there one sin that you feel most excited to write about? Actually, another author suggested this to me years ago. And after I wrote Stand Your Ground, I needed to write a book that was very different from that one because it was tough to face the blank page after that. I thought about Lust, which I’d started years before and, with my agent and editor, decided to pursue the deadly sins series. Why did you decide to tell Envy from two points of view rather than one? I decided to write Envy from two points of view because I learned that the definition of envy usually involves two people. I was fascinated by that discovery and decided to approach the novel that way. Did you find that you related to any particular character in Envy more than the others? If so, why? Hmmm . . . that’s a good question. I really liked both Gabrielle and Keisha. Keisha had suffered so much loss in her life, yet she was surviving. And I loved the way Gabrielle reacted to having a sister. She opened her heart, following the example of her father—there were no strings, it was completely unconditional. I loved that. However, I really liked the feistiness and protectiveness of Regan. She’s a true friend. Gabrielle and Mauricio are moved by the pastor’s sermon about envy and jealousy, which they feel is a message to them. Have you ever been moved by a message in this same way that felt very personal for you? Oh my goodness! I don’t know anyone who’s been to church and hasn’t been moved by a service, thinking the message is just for them. I remember vividly sitting in the pews one Sunday in Los Angeles and my mouth being wide open. I had no idea how my pastor had gotten into my life that way but I wanted her out! LOL! No, personal messages are very good things. I think God meets all of us where we are. Have you ever struggled with envy in your own life? If so, how did you overcome it? When I was a little girl, my father told me to never compete with anyone else. He told me that if I did that, I’d never be my best because competing with someone else could hold me back. He said always make my today better than yesterday and work on making my tomorrow great. And then, if that wasn’t enough to keep me on the right track, when I found out in Sunday school that envy killed Jesus, I don’t think I’d ever been more afraid—I never wanted to have that in my heart. I’ve tried really hard to live without envy and I think I have. I have been accused of being envious once, and I prayed and really searched my heart to see if that was true. It wasn’t. I haven’t always gotten things right, but I’ve been able to keep envy from my heart. A major theme of the book is sisterhood. Do you have any sisters or sister-friends? Who are some of your favorite examples of sisters or sister-friends? What would you say defines sisterhood? I have three sisters—Michele, Lucia, and Cecile—and while I’ve always been close to my sisters, we’ve become so much closer since my mom passed away. That has been the only blessing of her passing and I know my mom (and dad) is really happy about that. She’d want us to look out for one another and we have done that. My closest sister-friend is ReShonda Tate Billingsley. I have a true sister relationship with her because we’ve been through everything together. She doesn’t judge me; I don’t judge her. We understand that we both have good days and bad. (Though she needs coffee every day!) And she’s been a great sister-friend because we can work for hours together and then go right out after that and play. (And who else but a sister-friend would take you to her family reunion in Smackover, Arkansas?) There is no one in my life that I laugh with more than ReShonda. Who are some of the contemporary storytellers that you find most inspiring or compelling today and why? I think my three favorite contemporary authors are Eric Jerome Dickey, Bernice McFadden and Tayari Jones. These are authors that I’ve held up to others as examples of who I want to be when I grow up. Not only are they great storytellers, but the beauty of their writing—there is music in their manuscripts and my challenge with getting through their books is that I read sentences over and over again. I read their work and I’m inspired to write. What was the biggest challenge in writing Envy and how did you overcome it? This was a story I wanted to write, so it wasn’t hard to get the story to unfold—except my mom passed away right in the middle of me writing this story. It is hard to write through tears and heartache. But the good thing about having a deadline like this while I was grieving was that it kept me out of bed . . . Not completely, but enough so that by the time I finished Envy, I felt like I could breathe a bit more. But it was tough. Can you tell us about some of the projects that you are currently working on? What can your readers look forward to next? I am more than halfway finished with Greed which is the next book in the series. The first three books—Lust, Envy, and Greed—have been optioned to become movies, so we’ll see what happens with that, but it’s exciting. And I plan on writing all seven of the seven deadly sins.